Culture Night is an annual all-island public event that celebrates culture, creativity and the arts. This year, it will take place on Friday 21st September 2018. 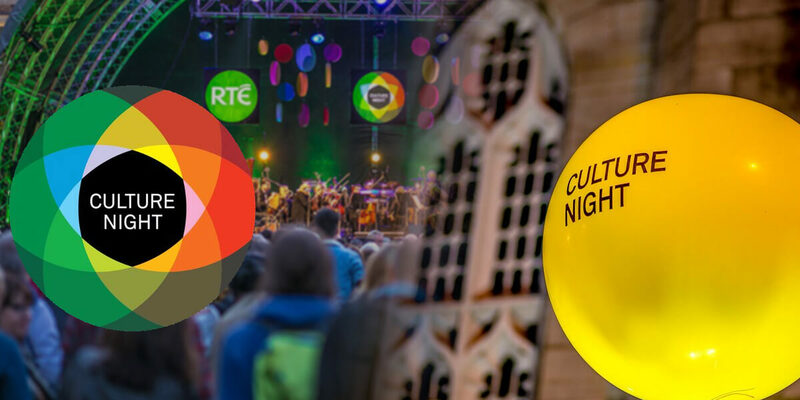 On Culture Night, arts and cultural organisations and venues of all shapes and sizes, including the National Cultural Institutions, extend their opening hours to allow for increased access to the public. Special and unique events and workshops are specifically programmed at participating locations and everything is available free of charge.